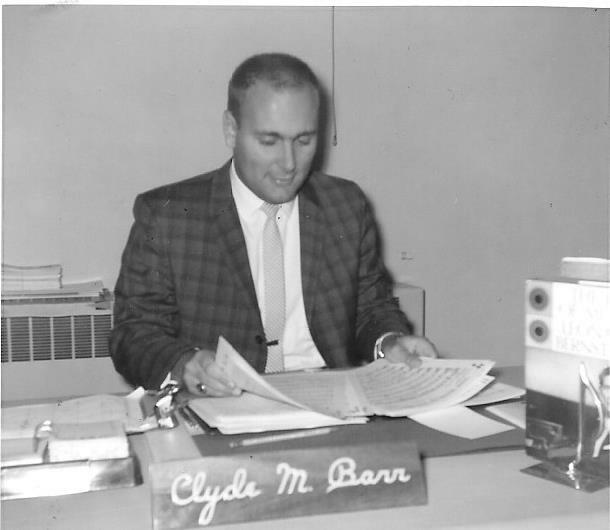 It is with great sadness that we inform you that early this morning Mr. Clyde Barr passed away. Clyde was a beloved band director at Carlisle High School from 1962/63 until 1976/77, and he touched the lives of so many of us. He will be missed. Carlisle, PA 17015). A private burial will be held at the convenience of the family. View the article “Clyde Barr, former Carlisle High School band director, dies” on cumberlink.com. View the article “Carlisle High School Band members mourn the loss of accomplished band director” on cumberlink.com.